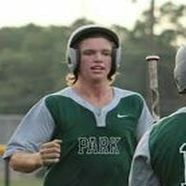 Curtis Rhodes has been a two year starter for the Kingwood Park Panthers at first base. The 2014 season was the best that the Panthers have ever achieved. In 2014 the Panthers made it to the 4th round of the playoff for the first time ever. 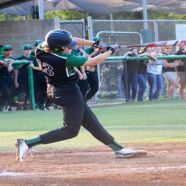 Curtis led the Panthers in batting avg .364, Hit’s 44, RBI’s 28, and HR’s 2, as a junior. 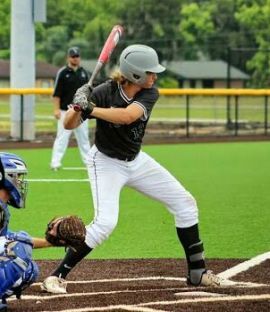 Curtis was selected to the Junior all Houston all-star team where he was 2 for 3, with a home run within the all-star game. 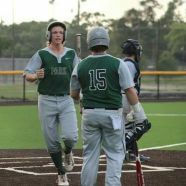 Only player chosen from Kingwood park for the junior Houston all-star game and got special mention at the state level. 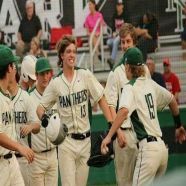 In 2013 Curtis grew several inches to 6’ 4” and was moved from 3rd base to 1st base to shore up that position for the Kingwood Park Panthers where Curtis lead the team into the third round in the play offs. 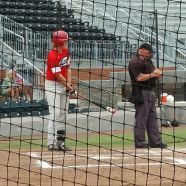 Curtis has started for the Houston Heat for the last two summers and has led the team either from the third or fourth batting position. The team is made up of the best ball players in the Houston and South Texas areas. Many players from around the state have come up to Houston to earn a spot on this team. 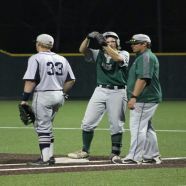 As you can see at the Houston Heat website (http://houstonheat.hardballsystems.com/) they have developed many young men to play for the MLB and various colleges. Curtis Rhodes has a nice athletic build and is a tough competitor. His main position on the diamond is a Right Handed Pitcher. 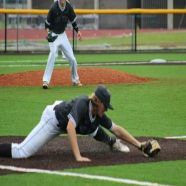 He currently plays travel ball and high school varsity baseball for Kingwood Park High School. Curtis has an arsenal of reliable pitches. He has a reliant breaking ball that he has perfected over the years. His secondary pitch is his Change up, It moves 5-6 inches and down. He can locate this pitch and throw it in any count. He also has a very reliable fastball in which he can locate it effectively. Curtis Rhodes still has a lot of room in the tank to get better and stronger. His strong points as a player is the way he pounds the strike zone with good movement & the way he mixes his pitches. He is comfortable in any situation, whether its coming in to save the game or starting a game. He loves the challenge of being a pitcher. There is no difference in his wind up regardless of the pitch. Curtis has total confidence on the mound. When he hears about teams that are dominating, he wants to be the one who pitches against them. His ultimate goal is to control the game. He is trained to not throw hitters their pitch, but his own pitch at his own will. Curtis had some great stats in his last season. He had a total ERA of 1.69 with over 20 innings pitched. Offensively, he had a .484 Batting avg. with a .600 OBP. We are excited to see how Curtis will dominate this year. He is truly an electrifying athlete! Curtis Rhodes has a core GPA of 3.0. Currently, Curtis is working hard with extra tutoring to be better prepared to take the SAT/ ACT exam later in the school year. Curtis has also already completed the many requirement for NCAA, and has a working knowledge of his future career path. Curtis is excited about college and is eager to find the right fit. He is very focused in his school class work as well as achieving his college entrance exam scores. Curtis understands the importance of getting into a respected college. He is very focused on finishing his high school career strong and with the highest GPA possible. As for his intended major, Curtis is still undecided on his major. He will be looking into several options this upcoming high school year. He is looking for a university with a broad variety of nationally ranked majors in order to better facilitate his choice in college. The success in college for Curtis will not be a problem. Curtis is very focused in getting a good education from a well respected college. Graduating from college will mark a milestone in his life and in his life. Curtis is focused on succeeding in college and will work hard to achieve this goal. It is with great ease and confidence that Perfect Recruits.com recommends Curtis Rhodes for an Athletic College Scholarship. Curtis Rhodes is good young man that makes the right decision. He is focused and determined to succeed. His family has instilled great moral values in him and we are confident that he will be a great addition for any college.